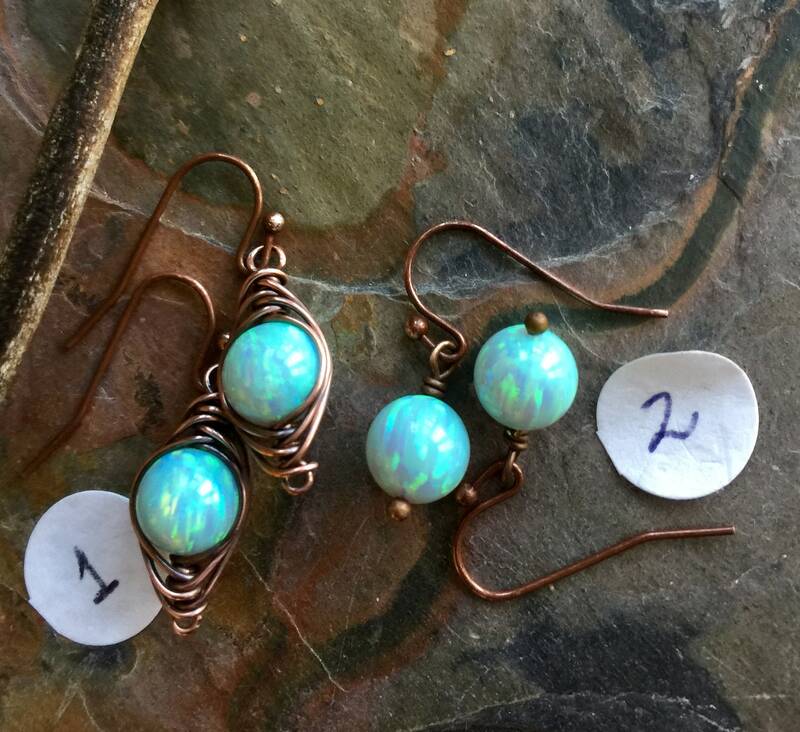 simulated/synthetic/lab created Opal earrings. 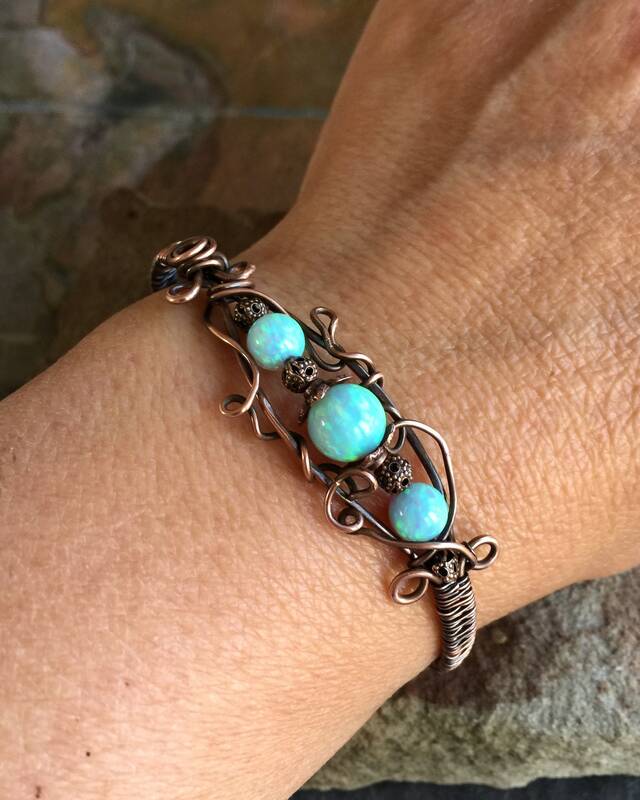 Choose your desired style. 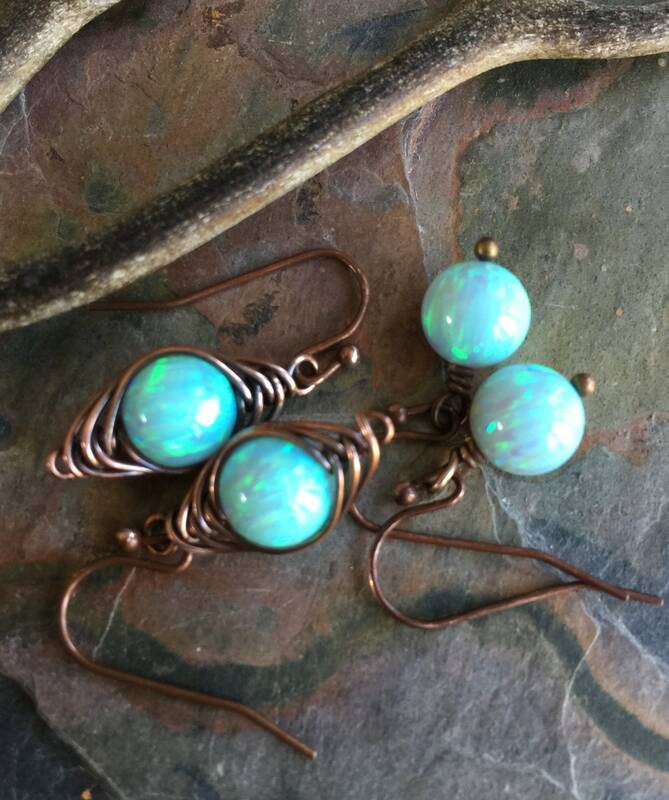 They are simple, but exhibits lots of sparkles down from your earlobe. 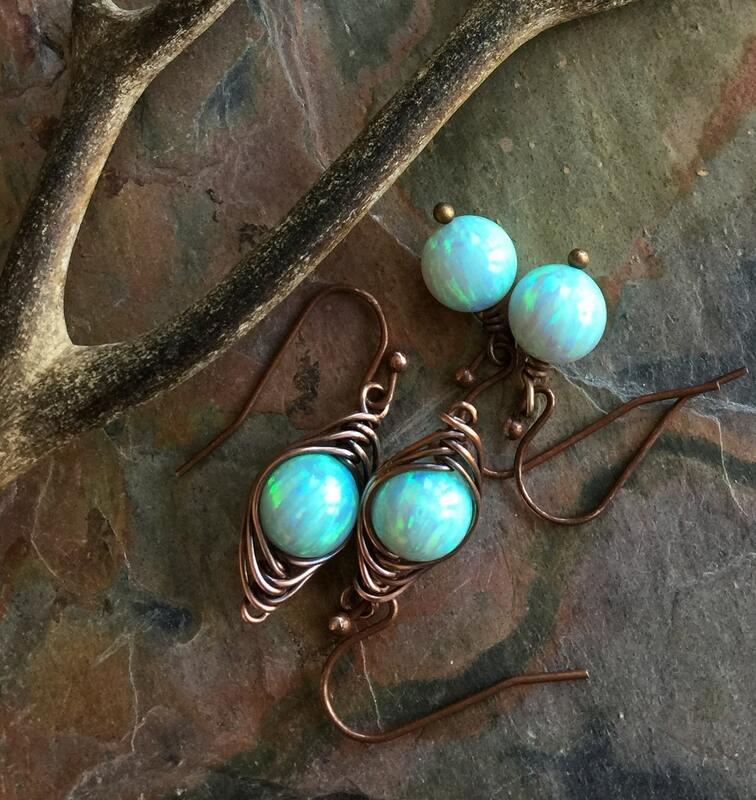 They dangle freely 1/2 inch from the bottom of the antiqued copper earwires. 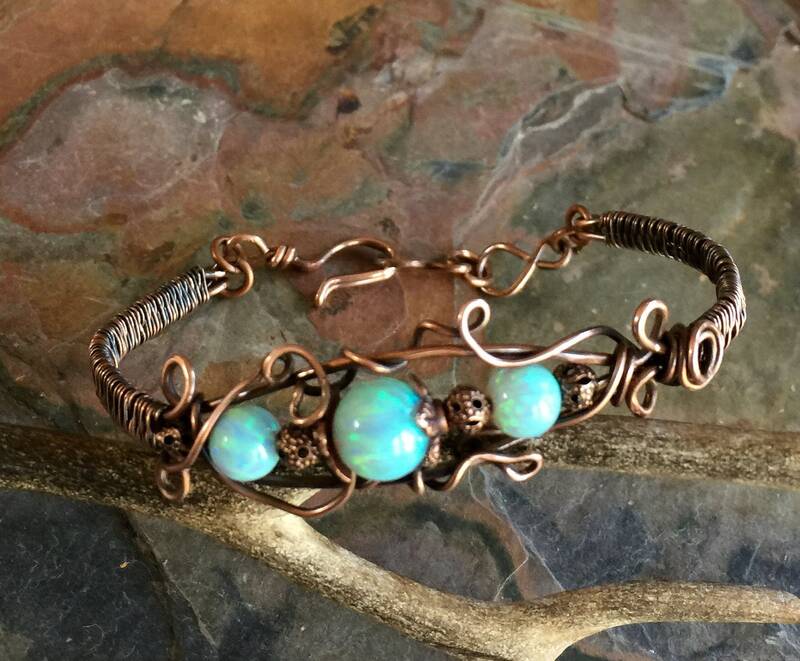 The opal bracelet is wire wrapped with antiqued copper wires using 6 & 8 mm high quality synthetic opal beads. 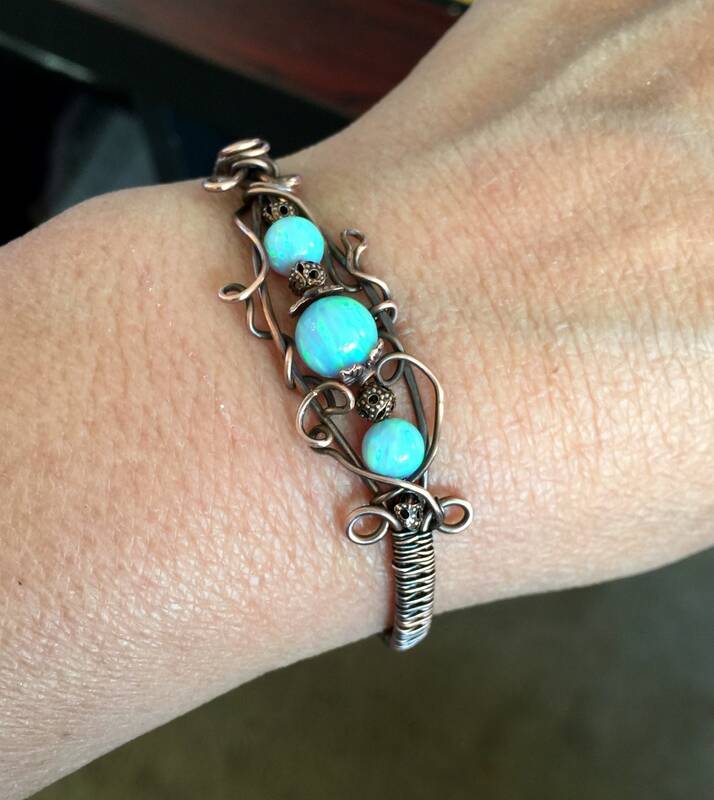 Choose desired bracelet length. 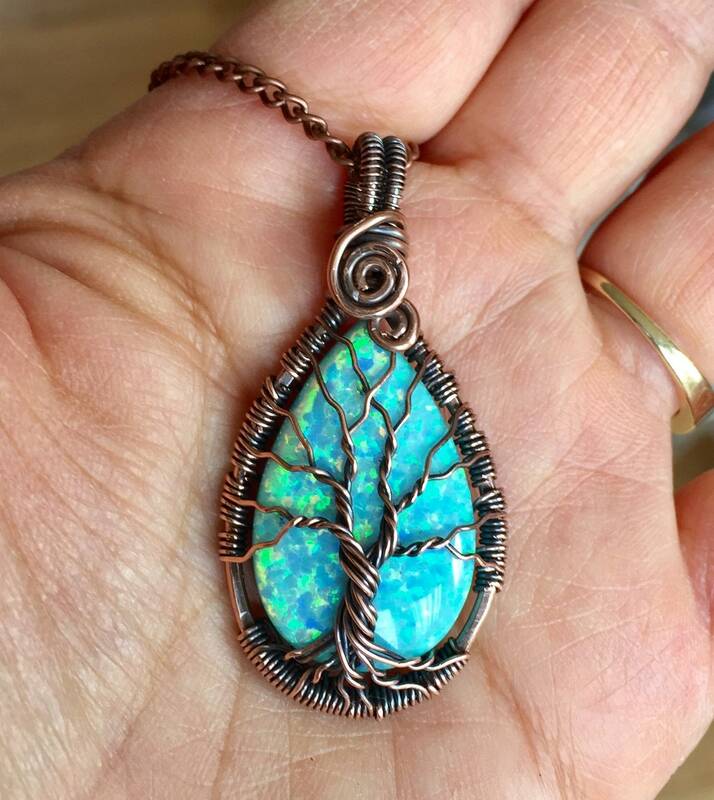 Our Synthetic Opal stands for quality. 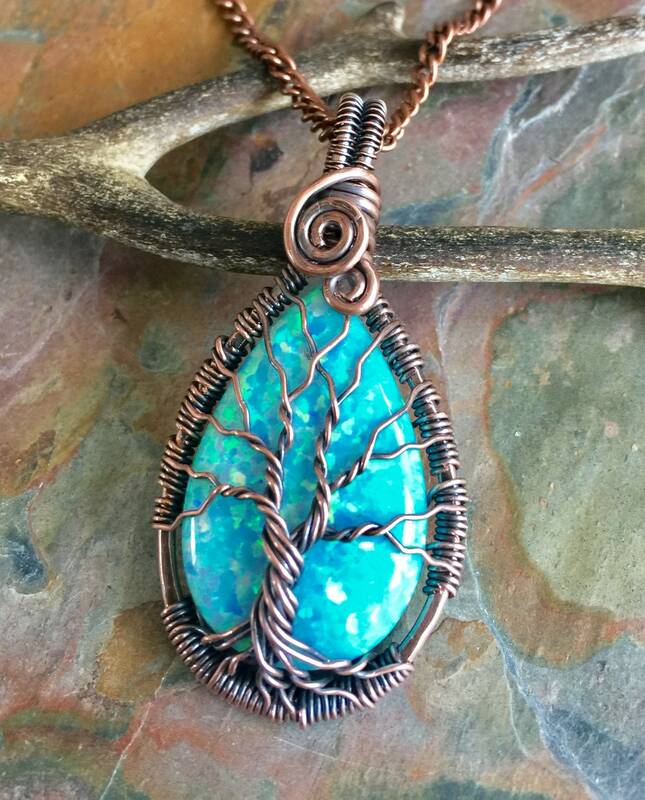 This synthetic Aqua blue Opal displays beautiful array of iridescent colors. 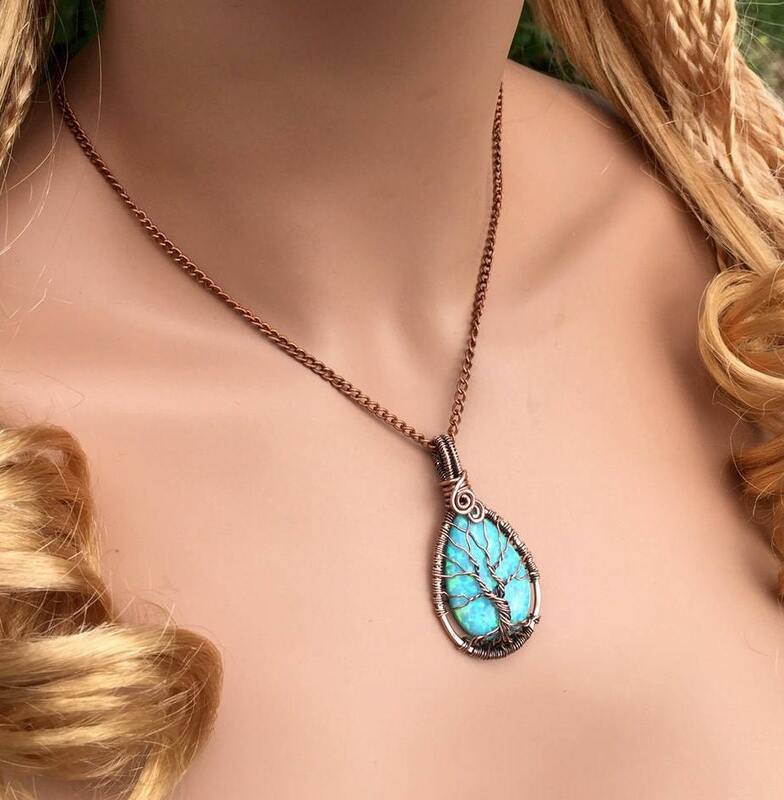 Opal-like Plastic is NOT the same material as our Impregnated Synthetic Opal.